Microsoft posted details about security features in upcoming Windows 10 Creators Update. Windows 10 next major update will bring even more security advancements to enterprise customers as IT administrators drive digital transformation to optimize operations, enhance productivity and maintain the most secure environment possible. The Creators Update make it easier to monitor, track and act by creating one view of Windows 10 security events in the centralized portal called the Windows Security Center. First released in the Anniversary Update, the Windows Security Center will link to Office 365 Advanced Threat Protection, via the Microsoft Intelligent Security Graph, to allow IT administrators to easily follow an attack across endpoints and email in a seamless and integrated way. In the Creators Update also adding new actions and insights in Windows Defender Advanced Threat Protection (ATP) to investigate and respond to network attacks, including sensors in memory, enriched intelligence and new remediation actions. Enriched Detection. 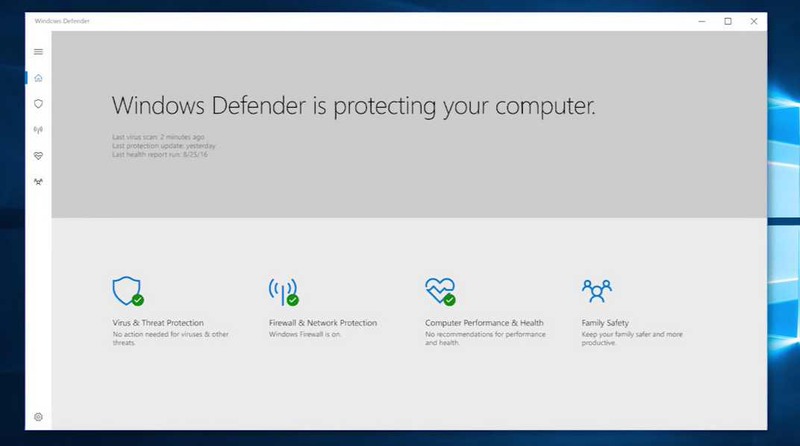 The Creators Update will expand Windows Defender ATP sensors to detect threats that persist only in memory or kernel level exploits. This will enable IT administrators to monitor loaded drivers and in-memory activities, and to detect various patterns of injection, reflective loading, and in-memory modifications indicating potential kernel exploits. Enriched Intelligence. The Creators Update, will enable IT administrators to feed their own intelligence into the Windows Security Center for alerts on activities based on their own indicators of compromise. This added level of insight will enrich machine learning models to identify and block malware more quickly and better protect their unique environment. IT administrators estimate a 15% improvement in IT management time with Windows 10. The Creators Update will further shift resources and time-intensive tasks to the cloud, allowing our customers to acquire, provision, support and secure devices more easily than ever. In the coming months, Microsoft will deliver additional resources to the Windows Analytics dashboard that will help IT administrators better manage and support Windows 10 devices. The additions to the dashboard will enable organizations to use their own telemetry to provide new insights and ensure compliance on the upgrade, update and device health processes within their organizations. For those customers who have already provisioned modern Windows PCs that support UEFI but installed Windows 7 using legacy BIOS, converting a device to UEFI required an IT manager to repartition the disc and reconfigure the firmware. This meant they would need to physically touch each device in their enterprise. With the Creators Update, will introduce a simple conversion tool that automates this previously manual work. This conversion tool can be integrated with management tools such as System Center Configuration Manager (SCCM) as part of the Windows 7 to Windows 10 in-place upgrade process. The Creators Update introducing mobile application management, a new feature that will protect data on personal devices without requiring the device to be enrolled in a Mobile Device Management solution. As employees use their own devices at work more and more, we are providing IT with oversight to apply policies to the applications employees use to be productive. This helps keep corporate data more secure without taking on the added responsibility of managing employees’ personal devices.